YOU Bake - Whether you’re an avid baker or just starting out in the kitchen, YOU Bakes in the perfect kitchen companion. Whether you’re an avid baker or just starting out in the kitchen, YOU Bakes in the perfect kitchen companion. It features a section on basic mixing methods that will form the foundation of many of the delicious cakes you’ll soon perfect. There are easy cakes to get you going and more complicated showstoppers, classic cakes and even cakes you can make in under 45 minutes. Find everything from the very indulgent such as the decadent cheesecakes section, the interesting - editor’s choice chocolate, pumpkin and coconut cake to an entire low-carb section which includes delights such as French vanilla cake and red velvet squares. It’s all aimed at making baking easy, fun and delicious. Be the first person to tell us what you think about YOU Bake and you'll save $5 on your next purchase! 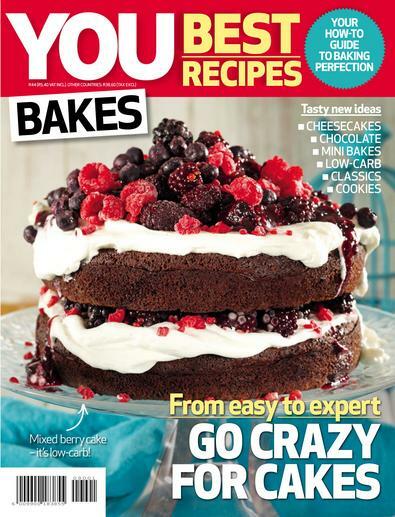 https://www.isubscribe.co.nz/you-bake-digital-subscription.cfm 15807 YOU Bake https://www.isubscribe.co.nz/images/covers/nz/541/15807/square/YOUBake38201804930.jpg NZD InStock /Digital/Food & Wine/Everyday YOU Bake - Whether you’re an avid baker or just starting out in the kitchen, YOU Bakes in the perfect kitchen companion.